About 70 percent of consumers choose their beer at time of purchase. Kind’a crazy, right? It’s a factoid via the 2017 Craft Beer Category Design Audit, and it’s a healthy reminder that branding, design and marketing are often more important than the beer itself. 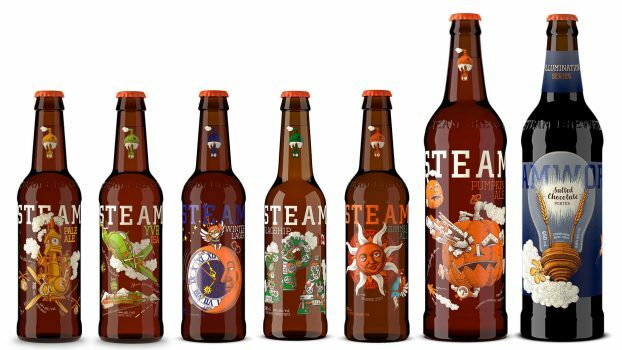 I am constantly wowed by the variety of good and bad branding techniques that populate the products of the 6,000-plus breweries operating in America. How do you stand out in all of that? That question of prominence is encapsulated nicely in the name of Vancouver-based Outshinery. An online service dedicated to creating any visual assets a brewery or winery would need to run a thriving business — pack shots (bottles, cans, packs, poured glasses and beyond); lifestyle images (like in-context photography); and, maybe the coolest of all, product videos (including 3D animated labels that will give your brand a big differentiator).